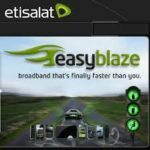 This is the new Etisalat Break free also regarded to as easycliq. It offers you the freedom to decide what your bonus should be. 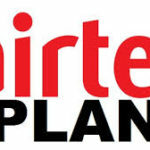 There are three options from which you can select from and they are; 250% bonus usable for all networks in Nigeria, 350% bonus for on-net calls and 100% bonus on data plans ranging from 50MB to 500MB data subscription. The default charges on the new easycliq is 25k/s for calls. You also get one SMS free for every SMS you send that you’re charge for. On the plan, you get one time offer of 200MB for N100 valid for 7days upon the activation of the plan for the first 30days. 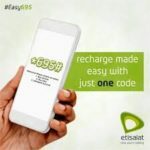 To view and choose from the these bonus options on the new easycliq, just before you recharge, dial *545# and select your preferred bonus options. With this plan, this bonus grants you 250% bonus for calls every time you make a recharge of N100 and above. The bonus will be divided into two equal parts, each for on-net and off-net calls. 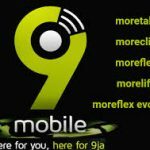 Any recharge that is less than N100 will attract a 150% bonus that will be valid for 7days. People who go for this bonus option will get a 350% bonus each time they make a recharge of N100 and above. This bonus can only be used for on-net calls. Every recharge that’s less than N100 will attract a bonus of 250% which can be used for on-net calls and it is valid for 7days. The calls will be charged at the rate of 50k/s. This is another bonus option on the new easycliq which the internet freaks can go for. 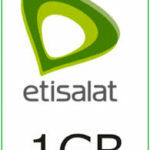 It offers 100% data bonus on chosen data plans which you buy. For instance, if you buy 50MB you will get 500MB in addition to the 50MB. You can use your purchased data at anytime of the day within its validity period but the bonus data is only accessible during off peak periods between 10:30PM – 5:00AM daily. 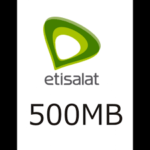 The 100% Data bonus is accessible upon the purchase of data plans between 50MB to 500MB. Please note that you will not the 100% data bonus on already discounted data plans like campus data offer, social me etc. The bonus data is valid for 7days. You also have the opportunity to enjoy internet services at a very discounted rate of N50 for 250MB between 12:00am to 5:00am. To enjoy this, simply dial *229*10*10#. The new easycliq plan is quite full of bonus to enjoy whether you’re the calling or browsing type, you will definitely find your match. Even for night rockers, rock the night with the night plan, it’s all yours.